Thanks to use Qlinkgroup speed up software developed by xiaoa studio, this is the tutorial below, please read it carefully before you use it. VC 2013 redist x86 and .NetFramework 4.5.2 (or higher edition) are required. Authorize your Qlinkgroup account from the control panel. Enter your control panel id with password. 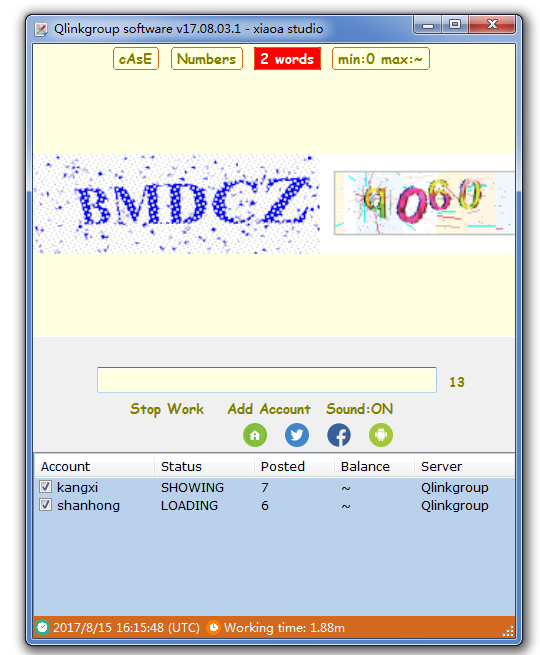 Fill Qlinkgroup login with password, click the button to authorize it. Click the link to download it. To protect our source code, we have encrypted our software. Some of the antivirus software may mistake it for harmful software. If "security error" occurred when downloading software, click here. The file you download is a zip file, don't open it directly. Right click on the zip file, select "extract to a folder", and open Qlinkgroup.exe from the folder. 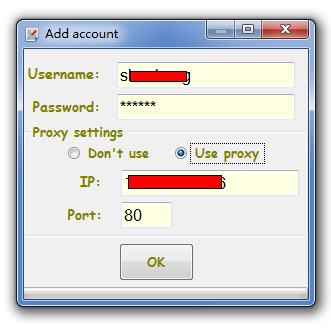 click "Add account", set up the proxy, Anonymous http proxy is required. You can use only one account per IP, otherwise, your account will be banned. Make sure that you have set up the correct proxy before the work. If the backgroud of the label is red, the description on the label will work. Press "ESC" on your keyboard to skip if you can't understand the CAPTCHA. 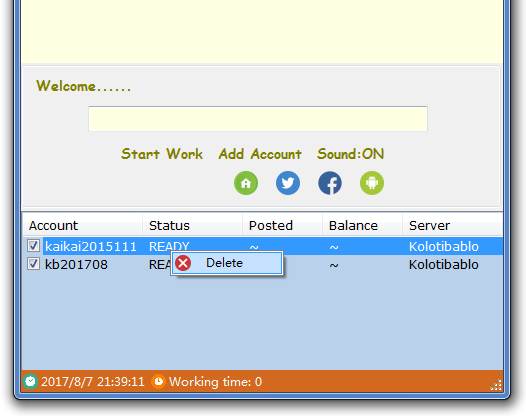 Click "Stop Work", keep working until the status of all the accounts become "STOP". You can restart the work by clicking "Start Work" after that. 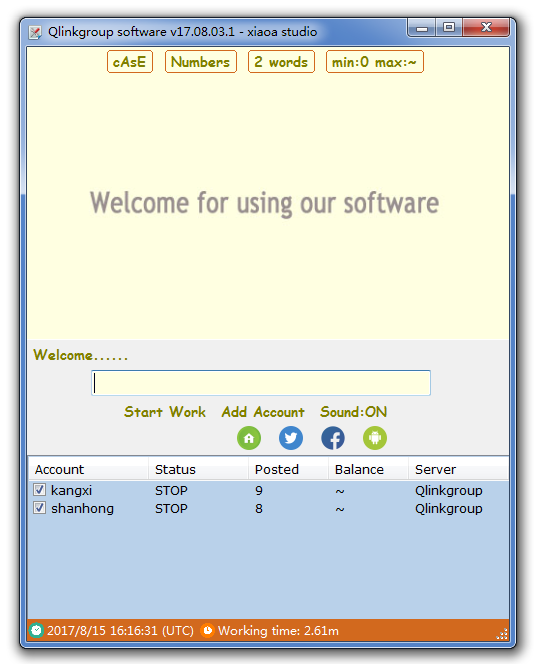 That's the instructions of Qlinkgroup software, maybe you want to know how to remove accounts. You can remove the accounts before you start work. Right click on the account which you want to remove, click "Delete"